Discover the benefits of straight teeth and an improved bite with i-Orthodontics. If you are looking for a discreet solution to your crooked smile or misaligned bite, the Invisalign system may be an option for you. So many people avoid orthodontics because they are anxious at the idea of wearing braces. The solution to traditional braces is Invisalign, a nearly invisible smile correction system. As a Diamond Provider, Dr. Idiculla and Dr. Isaac successfully treat more patients….When you choose to visit i-Orthodontics, we will help you determine whether or not the Invisalign system is the best fit for your orthodontic treatment. Dr. Idiculla is Colorado’s only Invisalign Faculty Member Orthodontist Diamond Provider. Our mission is reflective of a commitment to the highest level of orthodontic care. When you receive Invisalign treatment at i-Orthodontics, your smile is in experienced and caring hands. The Invisalign aligners are custom-fitted clear plastic trays that are comfortable to wear and effectively invisible. You’ll wear the aligners for around 20-22 hours each day. As your teeth change and your smile improves, aligners are switched according to your unique treatment schedule. i-Orthodontics provides Invisalign in Denver, and at our other locations across Colorado. At your appointment, you’ll learn more about Invisalign treatment and how it can help you live life smiling. For teen orthodontic care, Dr. Idiculla and Dr. Isaac offer options. Invisalign Teen is one of the many orthodontic care options available to teenagers. We work to help young adults live life smiling. At i-Orthodontics, we provide the AcceleDent system to help patients who would like to shorten their Invisalign treatment times. With just 20 minutes of use per day, AcceleDent can speed up your smile correction. 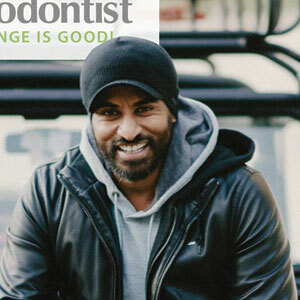 Dr. Anil Idiculla is a qualified orthodontist with considerable experience providing patients with Invisalign treatment in Denver, and across Colorado. For patients who want the highest level of care, i-Orthodontics has the resources and history of success that you can trust to help you live life smiling. Visit one of our 5 locations and discover the benefits of choosing Colorado’s best Invisalign orthodontist.